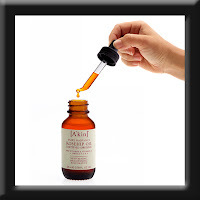 Rosehip oil is an amazing natural serum for your skin that you should try if you haven't ever tried it before. Rosehip oil is high in anti oxidants, vitamin C and A and essential fatty acids. So what this means for your skin is it is a great anti aging oil and softens and balances the skin. The great thing about this is that it is perfect for any skin. While it moisturises the skin, it also balances it, so it is great for even oily skin. If you are worried about clogging of the skin, then rest assured it won't clog your skin like some moisturisers. If your skin is sensitive, it is suitable as well. No matter your age, rosehip oil is great for you. It is good for scars, so many people like to use it if they have acne scars. If you have a burn, it is great since it is good for sensitive skin and helps to moisturise so you won't get itchy as the burn heals. Akin, Natio and Trilogy have great Rosehip oil. What is your favourite brand of rosehip? I am in the market for rosehip oil after changing my skin care routine! I am looking at natio or akin! I would have to say my favourite is the Akin followed very closely by the Natio. The Akin is a darker colour and feels a little bit heavier. I am looking for some too! Doc recently said what I thought was a little bit of adult acne is rosacea! Apparently this is awesome for that. Miss T - At least you found out it was rosacea. One of my friends had it for years and no doctor could tell her why her skin was so bad. She used to wear make up everyday to hide it, but the make up just made her skin feel worse. Mine is barely noticeable anyway, I'm pretty lucky. And now I know what it is I'm being careful with the area (no scrubbing, sunscreen, etc) and it's working out well. I'm currently testing a new skin product and it's reducing it too.